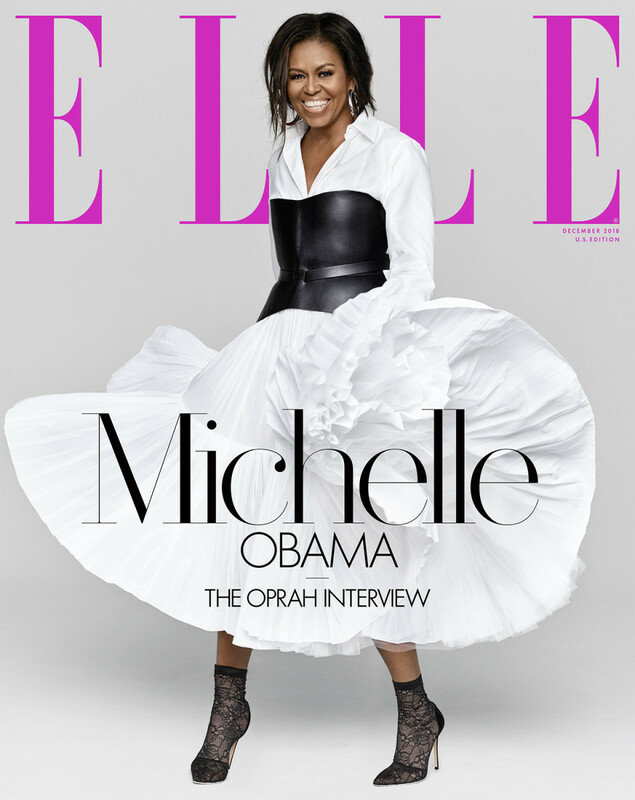 Our forever first lady Michelle Obama covers Elle magazine and talks with Oprah about a full range of topics such as infertility, marriage counseling, and current President Donald Trump. Michelle Obama is a epitome of class and grace. She oozes confidence and looks radiant. You really let us into the relationship, down to the proposal and everything. You also write about some major differences between the two of you in the early years of your marriage. You say: ‘I understood it was nothing but good intentions that would lead him to say, ‘I’m on my way!’ or ‘Almost home!’ And for a while, I believed those words. I’d give the girls their nightly bath but delay bedtime so that they could wait up to give their dad a hug.’ And then you describe this scene where you’d waited up: He says, ‘I’m on my way, I’m on my way.’ He doesn’t come. And then you turn out the lights—I could hear them click off, the way you wrote it. Those lights click, you went to bed. You were mad. “I was mad. When you get married and have kids, your whole plan, once again, gets upended. Especially if you get married to somebody who has a career that swallows up everything, which is what politics is. Barack Obama taught me how to swerve. But his swerving sort of—you know, I’m flailing in the wind. And now I’ve got two kids, and I’m trying to hold everything down while he’s traveling back and forth from Washington or Springfield.